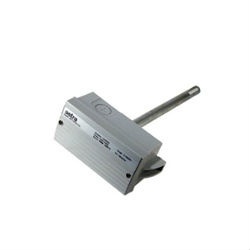 Setra's SRH outdoor humidity sensor offers optional active temperature with choice of 4 to 20 mA or user-selectable 0 to 5 or 0 to 10 VDC output and passive temperature with choice of thermistor or RDT output. 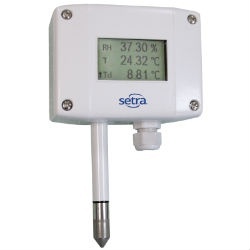 Setra's SRH outdoor humidity sensor offers optional active temperature with choice of 4 to 20 mA or user-selectable 0 to 5 or 0 to 10 VDC output and passive temperature with choice of thermistor or RDT output. 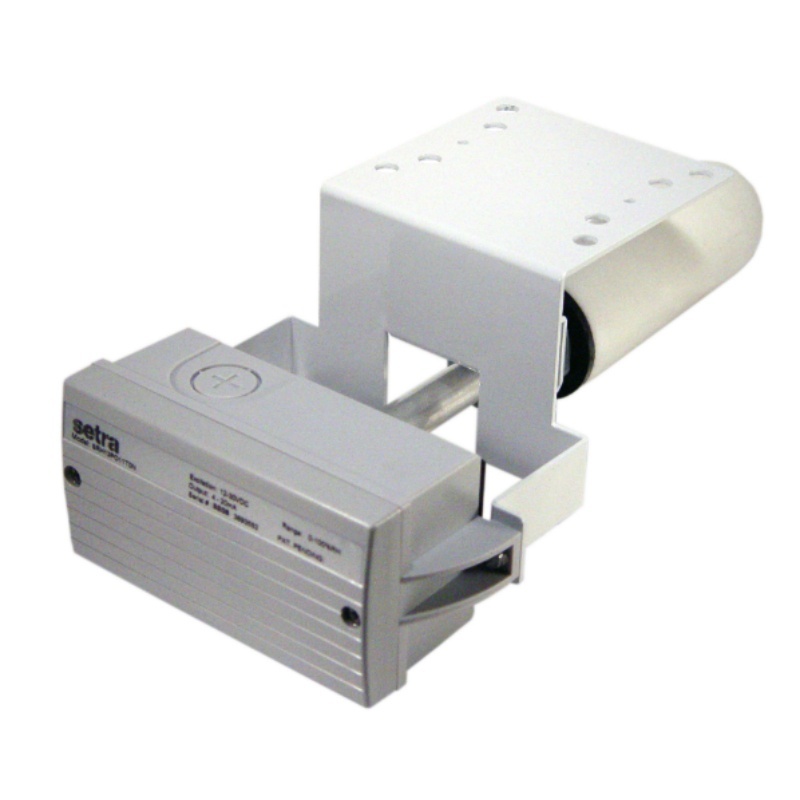 The sensor is housed in a polycarbonate 94 V-0, NEMA 4 enclosure making it suitable for harsh environments. The SRH outdoor air sensor gives the user the choice of 2%, 3% or 5% RH accuracy to meet the requirements of typical HVAC applications. 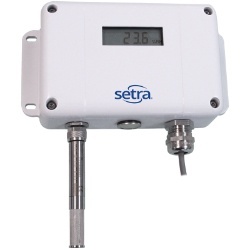 It features a removable sensor tip, NIST tracability and a durable capacitive sensor capable of a 0 to 99% full scale RH measurement and recovery from 100% saturation. Replaceable Sensor Tip for Easy Calibration - The SRH offers the industry's easiest replaceable sensor tip. Removing it requires no special training and can be easily replaced by the end user. No calibration is needed because each sensor module is factory calibrated before shipping, reducing downtime during service intervals. Active & Passive Temperature Outputs - The SRH can be ordered with either a passive (RTD Thermistory) or Active (Analog) temperature output, enabling 2 measurements from 1 device. Units configured with the active temperature options feature jumper selectable Tspan ranges 40°C, 50°C and 60°C. Worry Free 5 Year Warranty - The SRH comes with a 5 year warranty on electronics and a 2 year warranty on the sensor module, ensuring reliable measurement from your relative humidity sensor and temperature RTD over the life of the product.